When he finds the slab-cold body of his first client, he knows something’s up – he only spoke to her fifteen minutes earlier. Free-wheeling, swash-buckling, trash-talking Eddie is not just out of place in a humdrum northern town. He’s out of his depth on his first case, out of funds from a now deceased client and out of favour with Weighton’s big society. 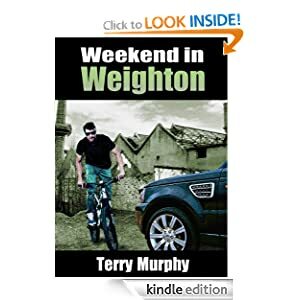 As Friday night slides into Saturday morning, each twist in the case turns a bad situation worse; the police want him for murder, the local crime boss wants him dead, the mayor wants him out of town and his girlfriend wants him out of her life. Increasingly desperate, Eddie takes on all-comers in a barnstorming bid to crack the case and clear his name. And somewhere between all the froth and fury, his affections are reclaimed by the girl who got away – but will she abide ‘til Monday?